New vapers often have a difficult time grasping all of the abbreviations that come along with vaping. Most of it, once you do a little digging, is self-explanatory. Have you ever wondered what the heck people were talking about when you heard MTL or DL? MTL and DL stand for Mouth-to-Lung and Direct-Lung. In simplified terms, these are just the techniques in which you inhale the vapor from your vape. What’s the Difference Between Mouth-to-Lung and Direct-Lung Vaping? Mouth-to-Lung and Direct-Lung vaping mean exactly what they sound like. If you take a MTL inhale, you keep the vapor inside of your mouth before you inhale it into your lungs. Most ex-smokers are the most comfortable with this technique, as it’s the same way you would take a hit of a cigarette. Direct-Lung vaping means that you are directly inhaling the vapor into your lungs as you vape. Most vapors who use a vape box mod and prefer higher-wattage vaping take direct-lung inhales. The technique in which you inhale your vapor is a personal preference. You don’t have to stick with a single technique either! There are pros to both Mouth-to-Lung and Direct-Lung inhalation and really it’s all about which experience you prefer. 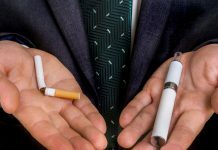 But if you’ve recently kicked your cigarettes and started vaping, Direct-Lung hits are probably going to be outside of your initial comfort zone. If you’re purchasing or own an e-cigarette or a cigalike, MTL hits are going to make more sense for you. Since these devices are made to look and feel more like a cigarette, they cater to MTL vaping. And considering most of ex-smokers are going to begin with a higher level of nicotine, shorter, more concentrated inhales, like a hit off a cigarette, will provide the same feeling you’re used to. However, here’s the flip side. Direct-Lung vaping is going to offer greater clouds and generally a more intense experience overall. When you inhale vapor directly into your lungs, you are intaking more nicotine than you would if you were inhaling into your mouth first. Longer inhales equal a greater intake of nicotine. If you’re new to Direct-Lung inhalation, it’s always a good idea to vape a lower percentage of nicotine to avoid causing nicotine sickness. If you’re unsure about what nicotine percentage to vape, check out this article for tips. The best way to know what inhalation technique you prefer is to try both MTL and DL vaping. As a beginning vaper, you’re probably going to gravitate toward MTL inhales. However, most people who have been vaping for a while find a lot of satisfaction in DL vaping. The main differences? 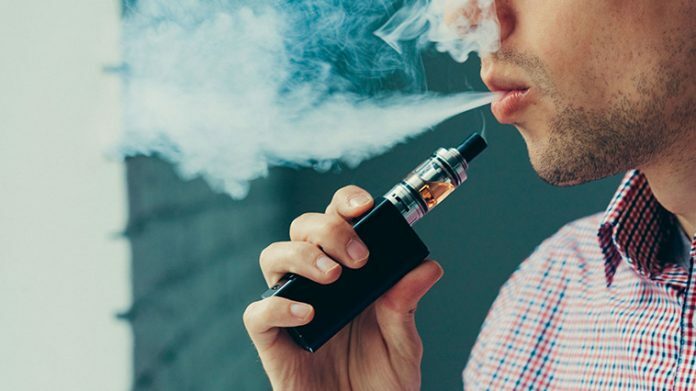 Mouth-to-Lung vaping provides a more subtle sensation than Direct-Lung vaping and is best for lower wattages, whereas Direct-Lung vaping is more intense and most prefer DL vaping at higher wattages for greater sensation and larger cloud production.